Many Australian homes now boast a swim spa in their backyard and people are attracted by their affordability (swim spa cost is usually far lower than that of a regular pool), convenience and versatility. However, a swim spa is also limited in its use and there are viable alternatives that offer a wider range of benefits. In this article, we define what a swim spa is, take a close look at these advantages and disadvantages and examine the alternatives on the market. What exactly is a swim spa? What is its function? How does it fit into the backyard landscaping? Quite simply a swim spa is a small pool that pumps a current into the water. This allows you to swim against the turbulence in a stationary position, enabling you to gain all the benefits of lap swimming, though in a fraction of the space required. It offers the ideal compromise between owning a spa and a pool and may be a perfect solution where space is a major consideration. Indeed there are a number of benefits in owning a swim spa. Swimming is one of the healthiest activities available to people. According to the Victorian state government’s Better Health Channel, swimming helps to keep you fit; is an activity that all ages can pursue; is a low-impact pursuit which nevertheless delivers significant physical and mental health outcomes; builds endurance and cardiovascular fitness levels; helps maintain a healthy weight and lowers blood pressure. Swimming also tones the body as it uses nearly all of the body’s muscles and is considered a major form of relaxation and stress relief. However unless you have regular access to a beach or private swimming pool, the only option is to use a public swimming pool. With a swim spa though, you can gain all the health and wellbeing benefits of swimming at a fraction of the cost of a private pool and reduce the need for space. Using a swim spa is also an excellent way of winding down after the stress and strain of the busy day. Or indeed at the other end of the day to get you nice and relaxed to face the day ahead! Swimming spas are also ideal as a version of a hydrotherapy pool and offer all the recovery benefits that such treatment offers. The current in the pool gives some resistance for the user which is excellent for those recovering from serious muscle or joint injuries. They are also cheaper than regular pools, more versatile than spas, and provide a safe environment in which to practise your swimming endurance. However, despite their obvious advantages, swimming spas have a number of limitations. They are usually designed for use as a hydrotherapy treatment pool and, as such, are most often equipped with a large seating area. This means the room for swimming against the current for exercise is cramped. Swimming against the generated current is also not recommended as regular training for those who wish to swim competitively, as they should learn to time their swim strokes for competition events in neutral water. The generated current will also be a major safety concern for young children and pets if the area is not fenced off and managed correctly. In addition to the usual safety problems of children near water, the added turbulence in the water could well mean the child — or pet — could get into real problems. Extra vigilance is, therefore, necessary around swimming spas where young children and pets are nearby. Swim spas also suffer from the problem of being neither spas (to relax in) nor a pool (to exercise). The added current makes it unsuitable to be used in the same way as a spa and it is not big enough to accommodate a group of people for fun pool activities. When shopping around, and trying to decide between a swim spa, a regular spa and a pool it is important to know that there is an alternative. This is a pool and spa combination. While such a combo is around twice as expensive as a swimming spa, the added cost reflects the many extra advantages a pool and spa offers. 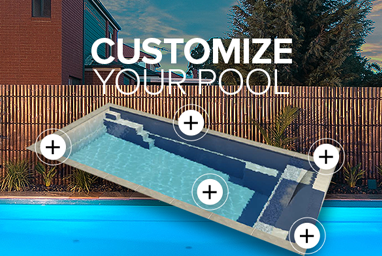 A pool and spa is as it states: a swimming pool with a spa attached. The combination offers the best of both worlds and will add a great deal more value to your home than just a swim spa. The pool offers exercise for those keen on swimming laps in a traditional pool while the attached spa is an excellent place to relax and ease sore muscles. The spa may also offer a great place to wind down after using the pool! The pool and spa combo also will give children a safe and monitored place to learn to swim before they venture out to waterholes and the beach at a later age. Becoming increasingly popular in Australia, a pool/spa combo offers something for swimmers of all ages and is versatile enough to cater for serious swimmers and people who just like to spend time in the water. As discussed, swim spa cost is one of the main reasons why people prefer this option. It is possible to source a good quality swim spa in Australia for $15,000 to $30,000. Cheaper ones can also be found. However, it is important to do the research before you decide to purchase a spa and there are many other considerations that you will need to take into account other than the cheaper price. 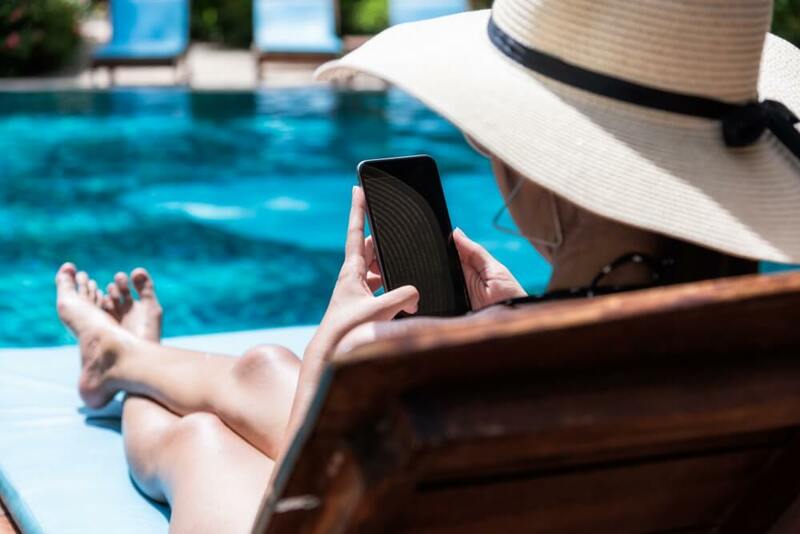 While a pool and spa combination will cost around double the initial cost, the aesthetic value, added functionality, as well as the boost it will give to the price of your property make this well worthwhile. The combo can also be tailored to the needs of your family and installed to suit the existing landscaping of the backyard. 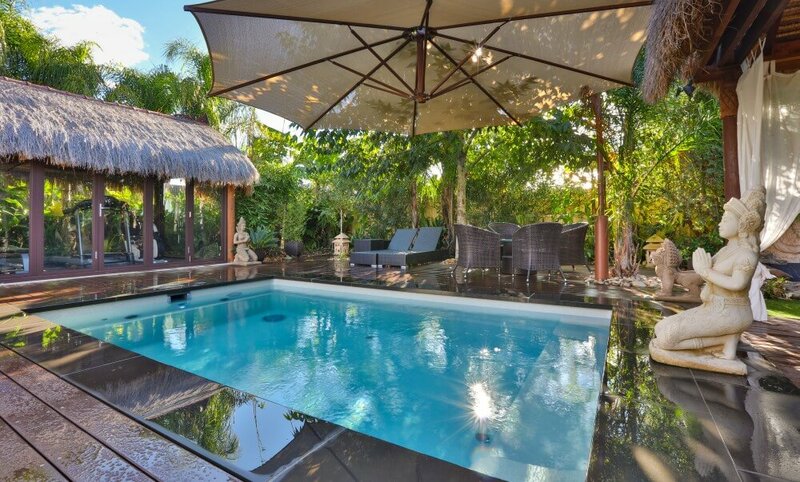 Over time such a pool/spa combination offers more benefits than a stand-alone spa and will help increase the price you get should you choose to sell. Are you interested in hearing more about how a pool and spa combination can be an excellent alternative to installing a swimming spa? Contact our friendly team, we’d be happy to offer you advice and talk you through the type of options that are available. We take into account your individual requirements for a pool entertainment area and can help you make the right decision. 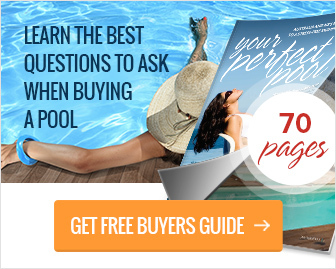 PreviousPrevious post:How to plan your pool landscaping to boost property valueNextNext post:Have you thought about an infinity pool in your backyard?